This suite is decorated in soft aqua and features a plush leather King bed, a sitting area and a luxury bath. The sitting area offers a large sofa, an electric fireplace, a side chair, an ottoman and a flat panel TV. In addition, the breakfast room is finished with granite counters and an extended breakfast bar. 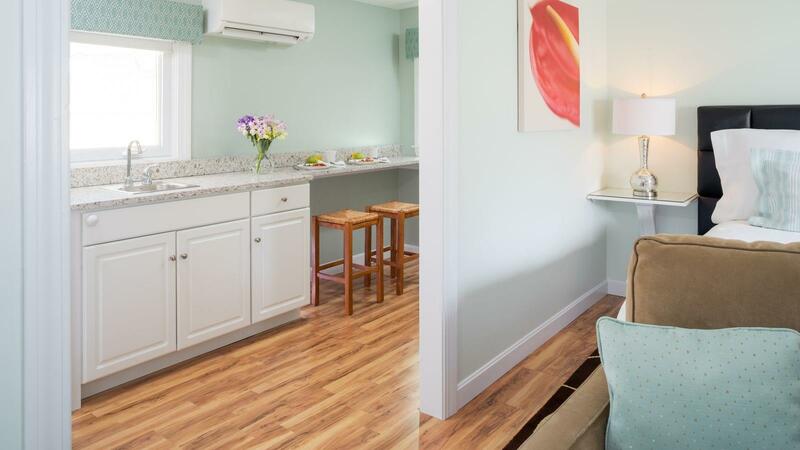 A Keurig coffee maker, a mini fridge and a microwave provide the comforts of home. The fully tiled bathroom features marble tiles and a walk-in shower with two shower heads. 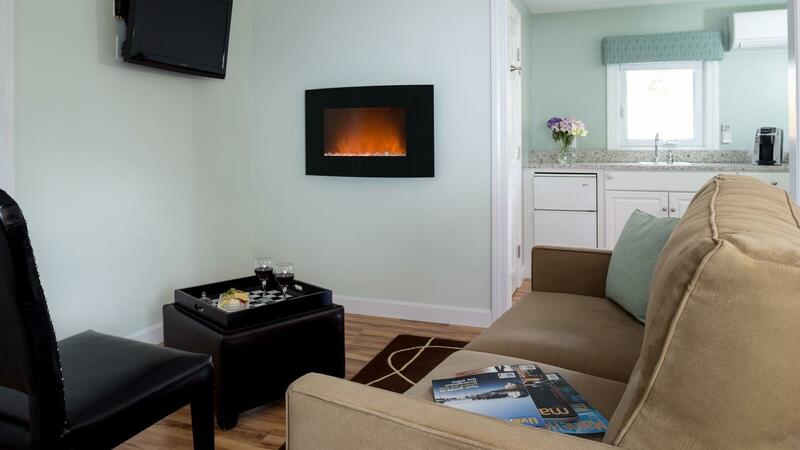 Plus, the personalized heating and cooling system provides the ultimate in climate control. The cottage also has a private outdoor patio.